To create a Windows Service in Visual Studio, typical instructions start with creating a Windows Service project. However, this project type is not available in Visual Studio 2005 Standard Edition. This articles is a walkthrough of creating a Windows Service in Visual Studio 2005 Standard Edition. Add a Windows Service item to the project. 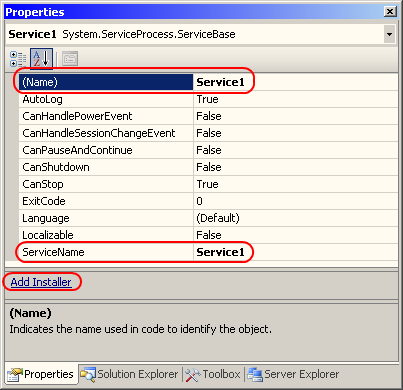 In the Properties window, specify the (Name) and ServiceName properties. Then click the Add installer link. Clicking the Add Installer link creates a Project Installer.cs file with two components: serviceProcessInstaller1 and serviceInstaller1. 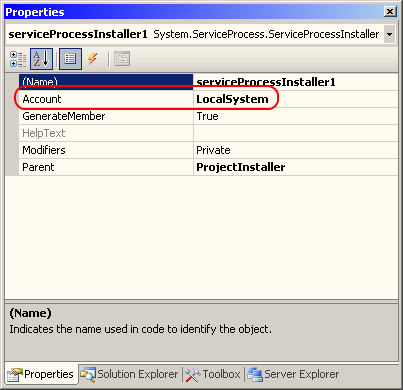 For serviceProcessInstaller1, specify an Account property of LocalSystem. For serviceInstaller1, specify a StartType of Automatic and specify a user-friendly name for DisplayName. In Program.cs, replace the Program class with the following code. 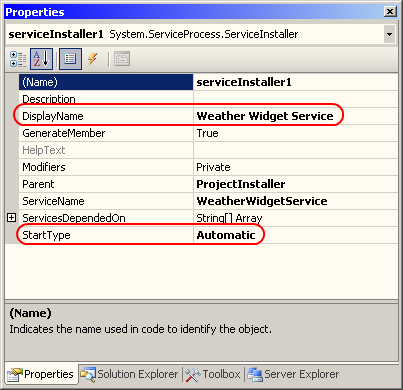 In WeatherWidgetService.cs, replace the WeatherWidgetService class with the following code. Navigate to the folder containing the EXE (bin\Debug or bin\Release). 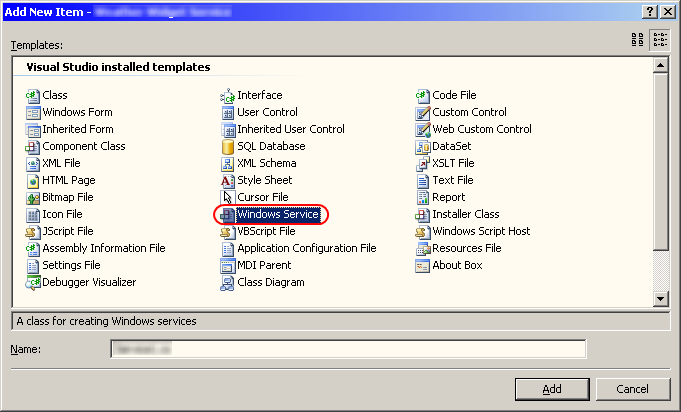 Start the service via Control Panel > Administrative Tools > Services.